Allow about a minute to load this tour of the latest Digital Wedding Album!! It's worth it!!! Experience the personal care given to provide beautiful, customized wedding portraiture and photography. Each clients needs are discovered during consultations coordinated and attended by your photographer. You will know your photographer before you book your wedding. Following the delivery of your previews, you will again have the opportunity to discuss your album and photograph requirements. Particular care is given to provide professional consulting in order that you receive albums, photograph and finish services that meet your specific needs. 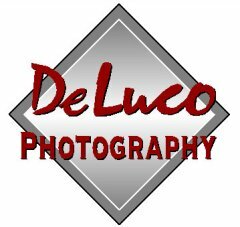 Unlike large studios, the work you are being shown is the work of one photographer, Jim DeLuco. You will not be shown the work of "one of many" photographers. This guarantees you will receive the quality of work you are being shown and that no substitute photographer will be sent to your wedding. You will know your photographer before your wedding day. All wedding packages include a complimentary location engagement sitting, and one 4x6 preview for the newspaper. In addition, you will receive 96 wallets (select one photo from your wedding day) for your "Thank You" notes. 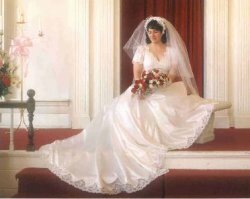 A selection of your wedding day photographs will be displayed on our web site for your friends and family to view. A note will be on the back of your wallets, directing people to your photographs. Experience has taught us that album design is the most difficult part of the process, so you select the photographs that you want in the album. We will design the album, positioning the photos and selecting sizes to that the relationship between photos is considered. Of course, you get to review the layout before the final order is placed. The better you look and the better we look..